A dead maintenance supervisor and an intrusive firebrand preacher have popped up Hart of Atlantis Park and Aquarium in the Texas Hill Country. Although divorced from Micheal Lansing, the park's security officer, Codie Hart resolves to work with him to protect her family's business. When a skilled, ritualistic killer arrives to steal newly developed technology and seek revenge on an old enemy, Michael must decide how to protect Codie and the park with reliving his past. Michael being trapped in a cave with The Handler close behind. Helen Ginger has a husband, two children, and a house that is always in need of dusting. She's not wild about cooking, but for some reason her family likes to eat. Born in Georgia, she grew up in Texas, where she's lived since she was ten. She's got relatives spread all over the States, from Texas to California to Minnesota to South Carolina to Alabama to Florida. A few of them actually admit that she's family. Just before her thirteenth birthday, Angel Sometimes' aunt took her 800 miles from her home in Oklahoma, gave her $50 and left Angel on South Padre Island, Texas. Four years later, Angel hitchhiked to Austin and got a job swimming as a mermaid in a bar in the music district. At twenty-two, she has friends and a place to live. When a homeless girl is beaten and a waitress killed, Angel realizes she will never be whole until she confronts her parents. To do that, she needs three things: her high school diploma, a car and a gun. She has a car. She’s finished her final test for her GED. The only thing she needs is the gun and she knows where to get one. Video games generate an estimated $27.5 billion a year in revenue with products supporting massive online experiences where millions play simultaneously in multi-dimensional worlds. To create the games, apps and simulations require a diversity of skilled jobs such as designer, story builder, composer, simulation programmer, graphic artist, animator, screenwriter, clay modeler and more. To become a significant "player" yourself, read Computer Gaming. 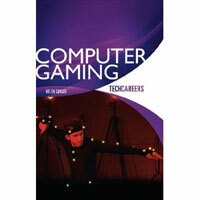 • Detailed overview of the gaming industry and career pathways available. Helen Ginger taught at San Antonio College and Incarnate Word College after receiving her master's degree from Southwest Texas State University. She served as the Executive Director of the Writers' League of Texas and is an owner-partner of Legends In Our Own Minds®. Few careers hold more mystique than those in the aviation field. Who hasn't walked by the open door of a cockpit and gazed at all the lights and panels and wondered what they meant? But it's not just the pilot who keeps the plane flying. It's also the aviation electronics technician (AET) who keeps the instruments running, which in turn keep the craft in the air, in communication, on time and out of danger. 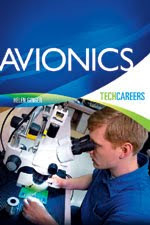 TechCareers: Avionics has all the information you'll need to start your career in this rewarding field. The world of automotive repair and maintenance is always changing due to constant technological advances, both mechanically and through increasing involvement with computers. For people who are good at problem solving and are interested in a hands-on, project-based career, becoming an automotive technician is the best way to be a part of one of the largest industries in the world. 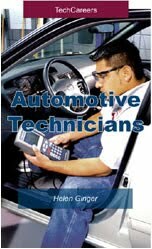 TechCareers: Automotive Technicians is your guide to becoming involved in this field. Features include how to start your training, areas of specialization, salary ranges and benefits, and profiles of current students and professionals in the field. Helen Ginger began writing when she was in grade school. After getting her Master’s from Southwest Texas State University, she taught at San Antonio College and Incarnate Word College. She did a stint as the Executive Director of the Writers’ League of Texas and is an owner-partner in Legends In Our Own Minds®.Helen’s e-newsletter, Doing It Write, goes out to readers on every continent except the Antarctic. She’s looking for someone there. When not writing, she edits fellow authors’ books. When asked to write Automotive Technicians, Helen hesitated. After all, she’d somehow gotten through life without ever having to change a tire. She wrote Automotive Technicians for those, like her, who want to learn about this career. She met the most interesting people -- students who enjoy working on cars, teachers dedicated to their students, employers with years of experience who think there’s no better profession, and working techs who love what they do and do what they do with amazing skill. Those are the people you meet in this book and in automotive shops everywhere. She also contributed to TechCareers: Biomedical Equipment Technicians , TSTC Publishing, by interviewing and creating profiles for employers of Biomedical Techs from Dallas to Bryan to Boston. Yes, Helen is a Ghostwriter. (See how easily she can talk about herself in the third person?) But that's all she's going to say. Her clients tell all; she doesn't. That's why she's called a ghostwriter. Examiner.com where Helen was interviewed on August 27, 2009 by Sylvia Dickey Smith for "Helen Ginger Goes from Mermaid to Wonder Woman"